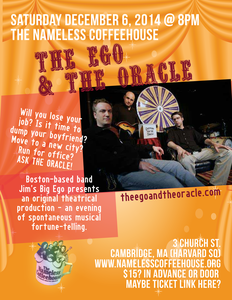 A funny thing happened when music fans began illegally sharing songs by the Boston band Jim's Big Ego on Napster several years ago. The band got bigger. So much bigger that when the record companies began cracking down on file sharing and Napster blocked JBE's music, frontman Jim Infantino wrote a letter to Napster asking them to make his songs available, copyright or no copyright. "They had to remove all copyrighted material, and I understand that it was legal and right," says Infantino. "But it's not what we wanted." What Infantino wanted was to share his music freely without sabotaging his career, a notion that major record companies would argue is untenable but that Infantino is discovering makes plenty of sense. In September he released "They're Everywhere," JBE's fourth full-length album, under a Creative Commons license -- a free, flexible copyright with the slogan "Some Rights Reserved." Creative Commons, cofounded and run by Stanford Law professor Lawrence Lessig, aims to find a balance between the extremes of strict regulation and unchecked exploitation. Creators can mix and match from a menu that helps express the terms under which they'd like to share their work. Infantino, for example, allows the public to copy, distribute, perform, and sample from his songs as long as it isn't for commercial purposes, the author is given credit, and any derivative works are distributed under an identical license. So far so good. "They're Everywhere" has already dramatically outsold any of JBE's previous releases. The band performs at the Lizard Lounge on Thursday. "I honestly don't know how much of that is due to the way we've licensed this, but allowing people to share our music certainly hasn't hurt our sales," says Infantino. "We're giving away the music and selling more CDs." Lessig isn't surprised. "For talented, up-and-coming artists like Jim's Big Ego, the key to becoming successful is getting known and making your art available," he says. "Free downloading doesn't mean cannibalism. And the data doesn't support the argument that file sharing harms sales." One track on the album, an effervescent pop tune called "Mix Tape," is something of a valentine to the idea of sharing music. "The song is about people finding music they might not have heard about through friends making compilations of songs that aren't on the radio," says Infantino. "That's how our music got out, except now mix tapes are this giant, amorphous thing. All you need is e-mail to grab it and share it." .org or at bigego.com -- which anyone is free to download and use (with such programs as GarageBand, Pro Tools, or n-Track) to create his or her own remix or video. 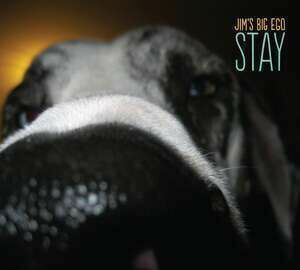 Entries can be posted at the Jim's Big Ego and Creative Commons sites until June 10, and winning selections will be posted on both home pages. "The idea is that the open sharing of ideas and creativity will only lead to a more creative society," says Jason Schneider, who manages Jim's Big Ego. "Lots of bands offer free downloads on websites. And Peter Gabriel did something like this, but you had to buy an embedded disc for $40. We've received an amazing response as a result of the whole remix thing from people saying they appreciate the philosophy and the opportunity to interact." Among the fan versions of "Mix Tape" already submitted are a drum 'n' bass remix, a total deconstruction with hard breakbeats, and a minimalist, ska-flavored version. Early '80s techno was the guiding light for a submission identified as Test Mix 2. The Santa Monica remix is something along the lines of Brian Eno does the Talking Heads; the same musician also created an electronic funk vision. And those, says Schneider, are among the more mainstream ideas. "People are sowing their creative seeds. Having sat with [coproducer] Ducky Carlisle during the original mix for Jim's album, I know that this is painstaking, and I'm amazed at how many people are wanting to get involved in this incredibly detailed process." There will, no doubt, always be a slice of the population that simply takes what it can get for free. But people like Infantino are testing the waters of community-based art patronage, which is, he believes, the model for the future. "I don't see how it can be stopped," says Infantino. "It doesn't require a record contract to write a song and publish it everywhere. 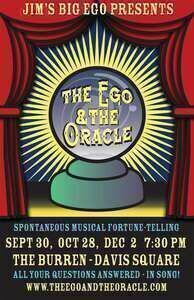 We're there. And the responsibility for patronage has to come from everyone. When you as a band act in good faith, you invite your fans to act in good faith." 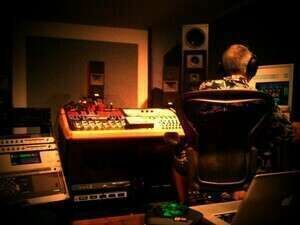 in studio with Jonathan Wyner mastering new album of stuff! Poor Rod - once more with conviction.